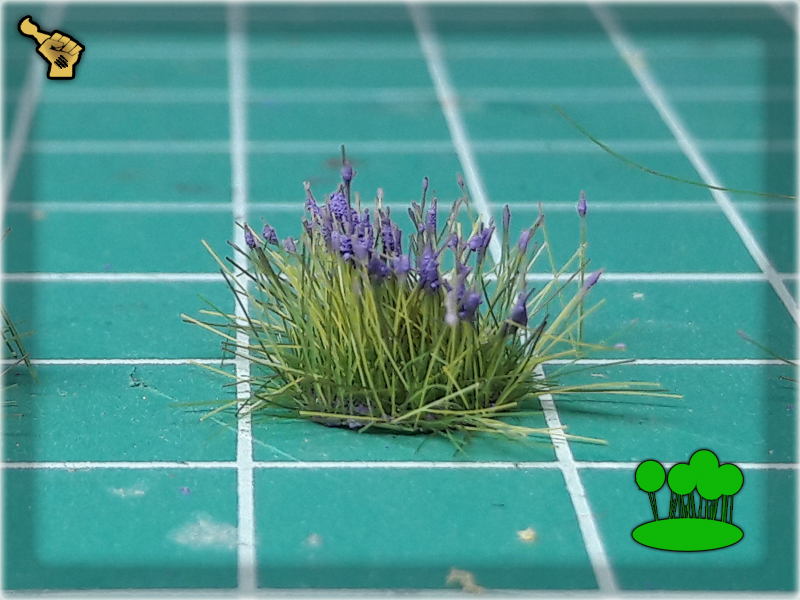 Static Grass or Tufts? That is a question that each painter has to answer by himself before going commando with basing miniatures. 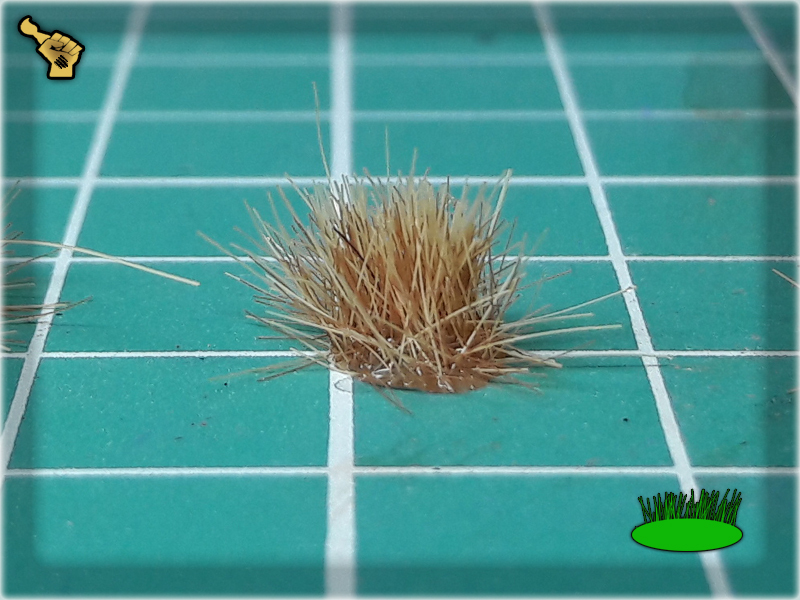 My personal favorites are off course Tufts as they offer a great visual effect. 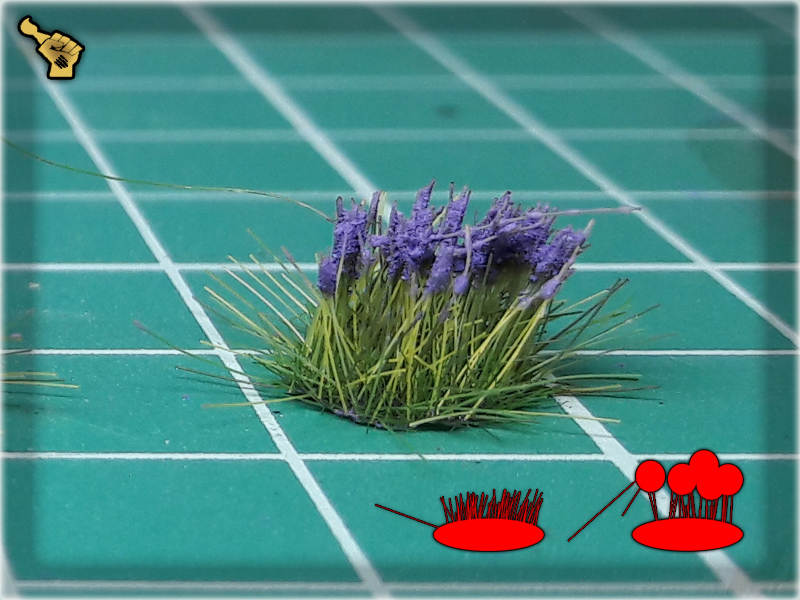 Sure, tufting entire base can be a bit expensive in comparisson to using Static Grass, but isn’t the looks what truly matters? 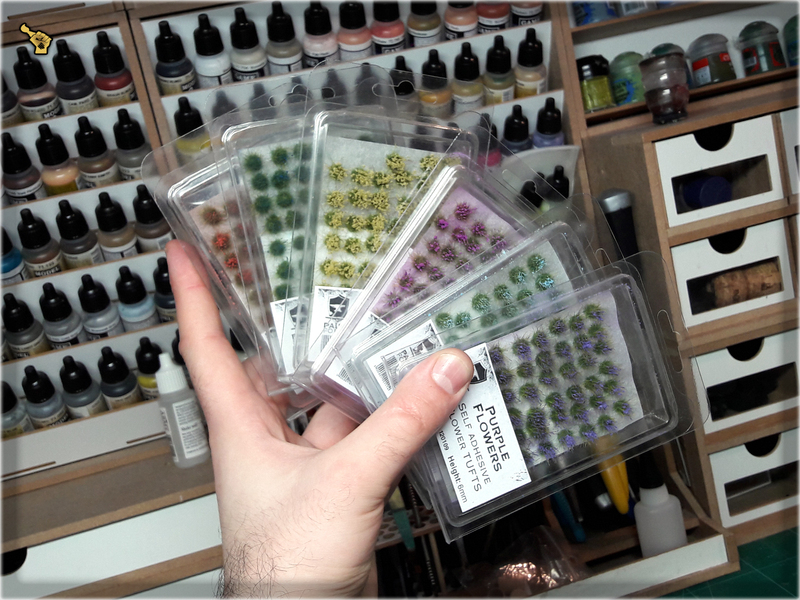 So Tufts it is – and during many years of miniatures painting I used a variety of them. 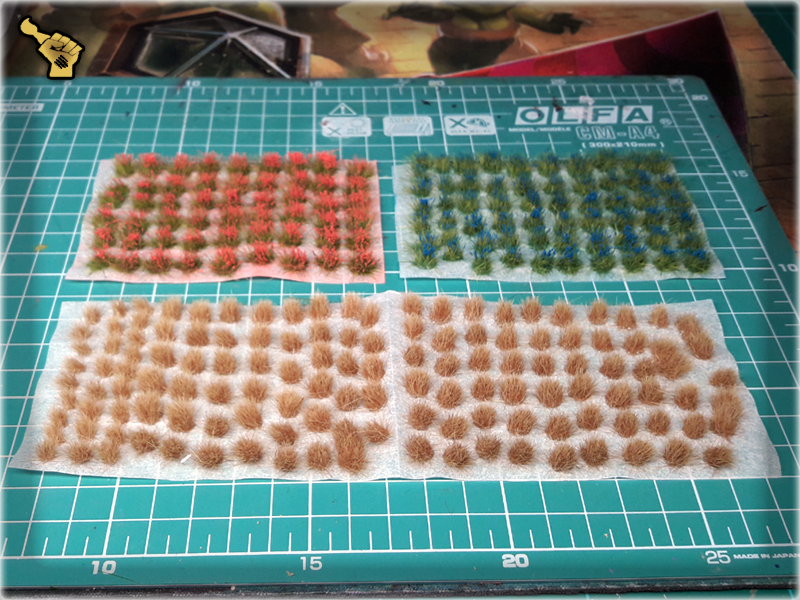 Recently I work with Army Painter’s, Citadel’s and MiniNature’s but when I want to pop the visual effect of a base with something more colorful or just fancy – I bring Paint Forge to the table! 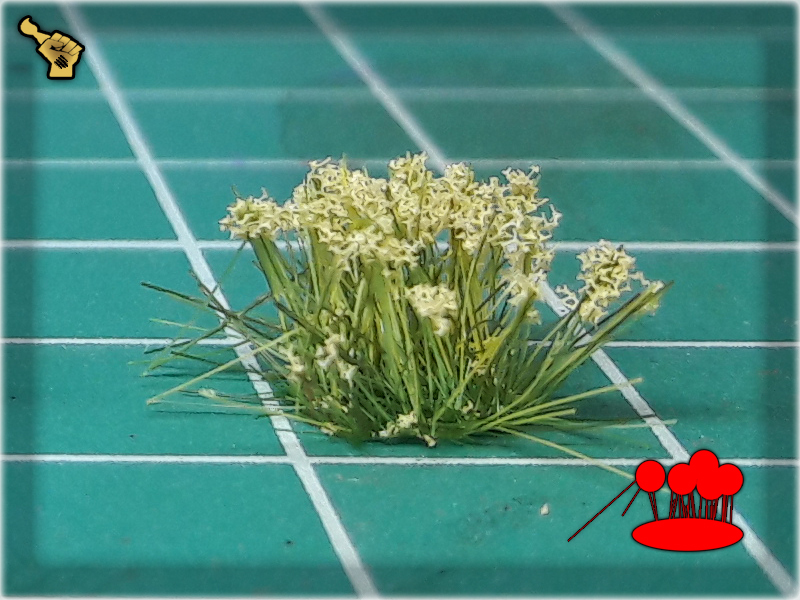 Both Tufts and Flowers are of fine quality. Once you work with them you will quickly notice the lack of the flaws that most of the nowadays Tufts and Flowers have. 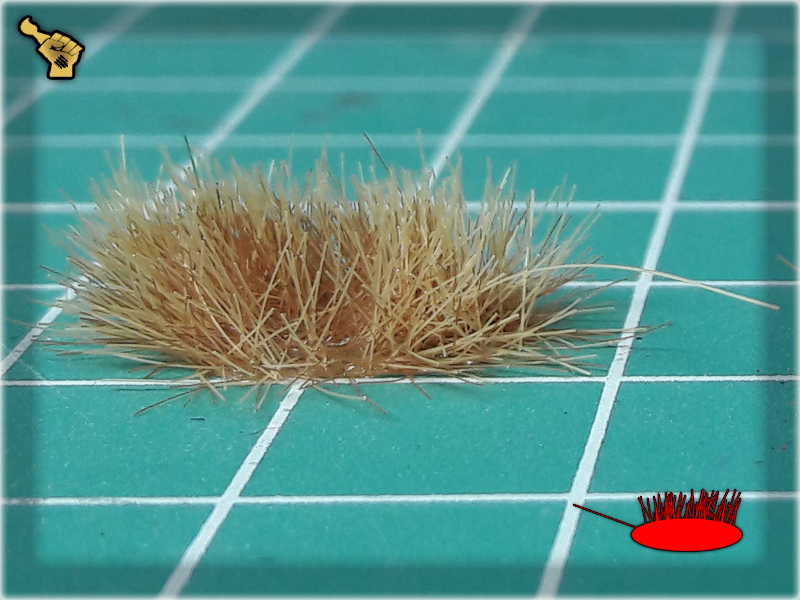 There will be no huge, random chunks of Tufts that require you to tear them into smaller pieces before usage. 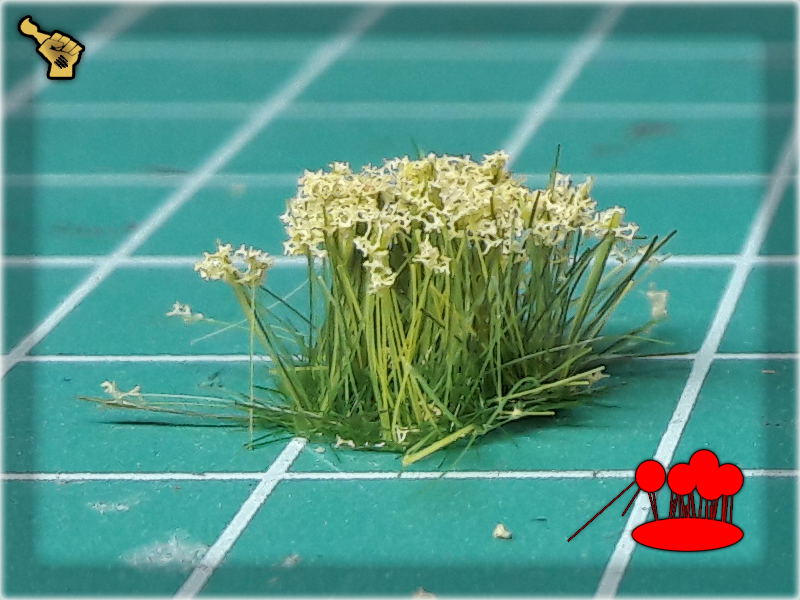 There’s almost no need to prepare either Tufts nor Flowers before use as they go in shapely groups – self adhesive and ready to be glued onto the base. When I say ‘adhesive’ I mean – like really, really adhesive – these are based on some sort of goo that really sticks to the surface. 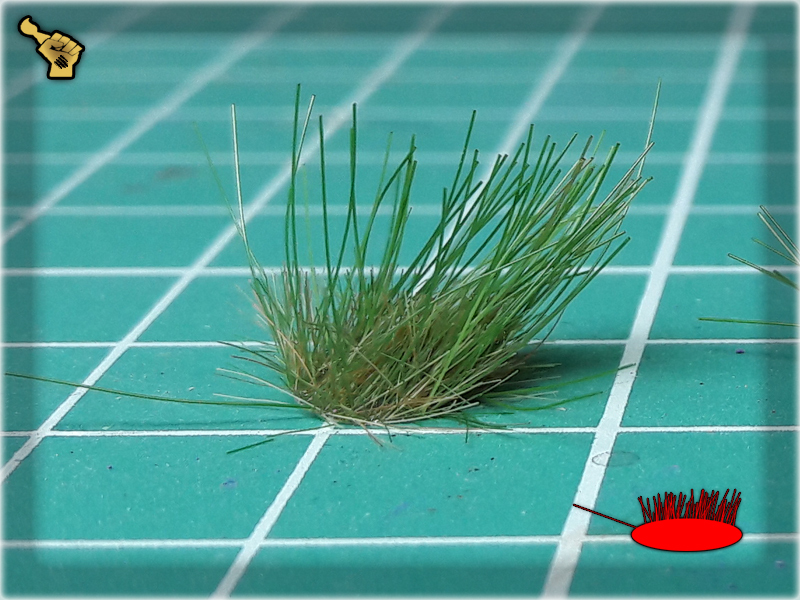 Upon opening the package there won’t be hundreds upon hunreds of loose grass blades – only few of these. 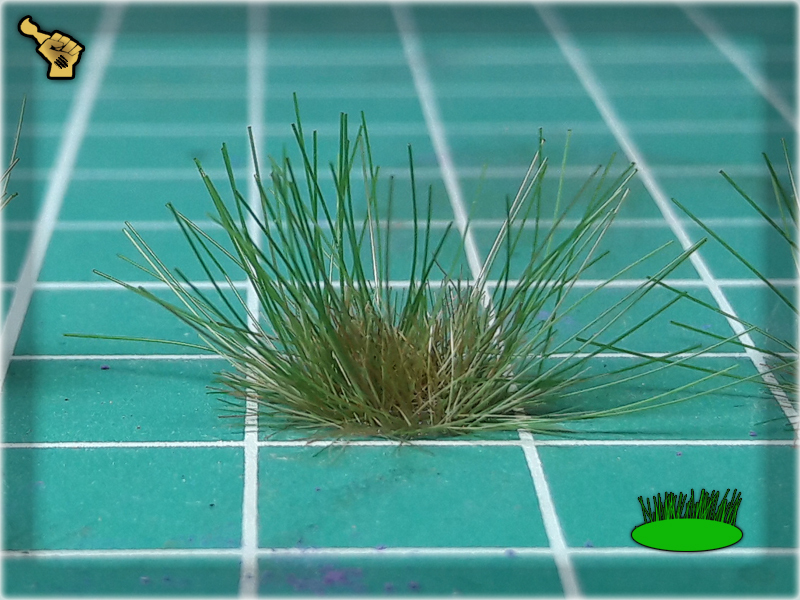 There’s also no Games Workshop-like shine of the grass blades. Some flaws are still present but it is common with this kind of products. Goo that keeps everything in place is soft and sticky. If you want to remove a single, regular grass blade – it will work just fine, but if you want to remove a grass blade kept by the upper part, then more will surely follow, as the base will give up before the upper part does. It is also near to impossible to tear the goo appart without damaging the Tuft. 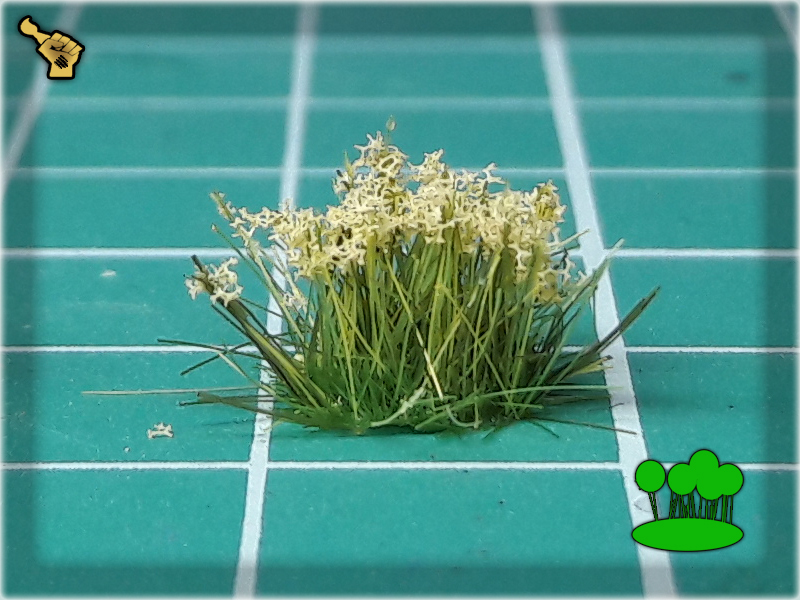 Mutated grass blades, which happen to appear in Tufts. These extremely long hair tend to go through entire goo-base of the Tuft making them difficult to be effectively removed without damaging the soft base of the Tuft. Goo-base of the Tuft is sticky and will surely keep the Tuft on the miniature’s base, but if you happen to be a fan os Super-gluing tufts onto the bases then Paint Forge’s Tufts will dissapoint you, as once the glue is applied you will encounter some crazy difficulties with gluing the Tuft onto the surface. 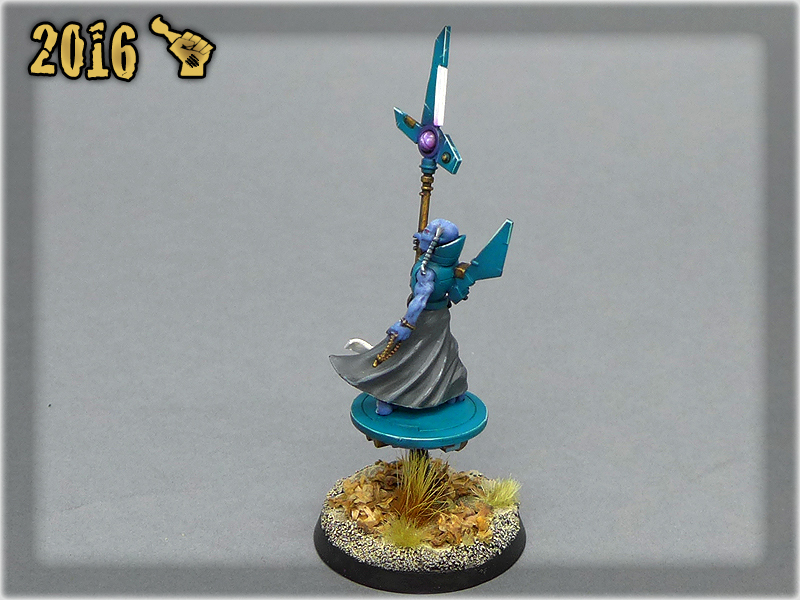 These are not some huge flaws, still once they appear – they tend to consume time, and time (at least for me) is the most important factor in miniatures painting. Either way these are rare while the overall functionality of the products is really high. 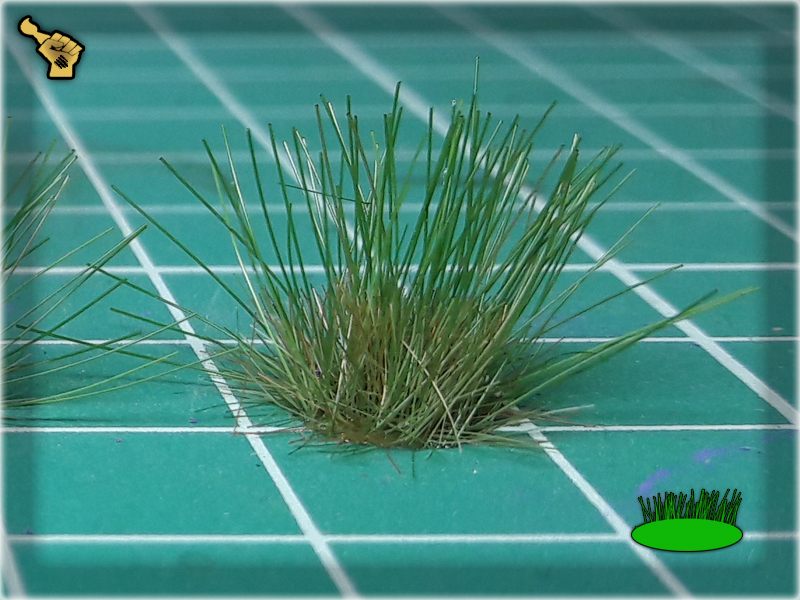 No need to remove a rough grass blade – it’s easier to stick the Tuft on the base so that this flaw will stay hidden. 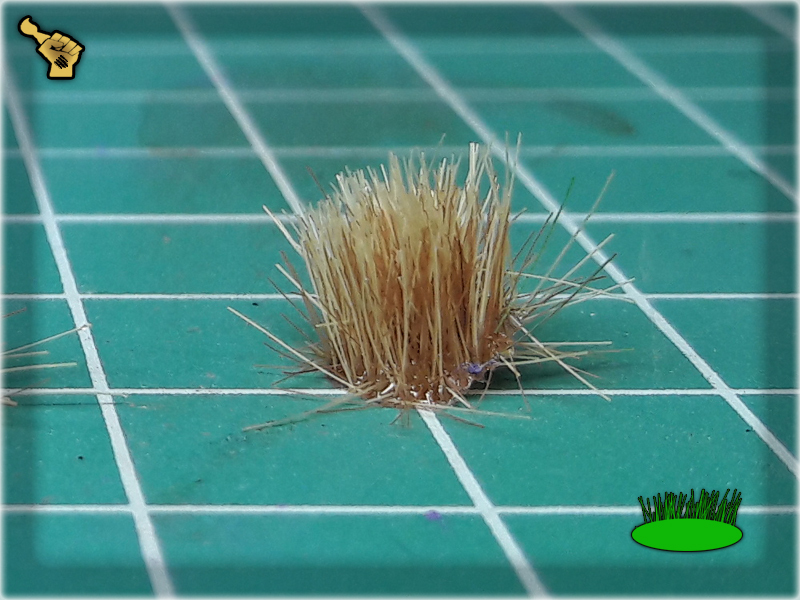 You can also try to reposition such grass blade into the goo. 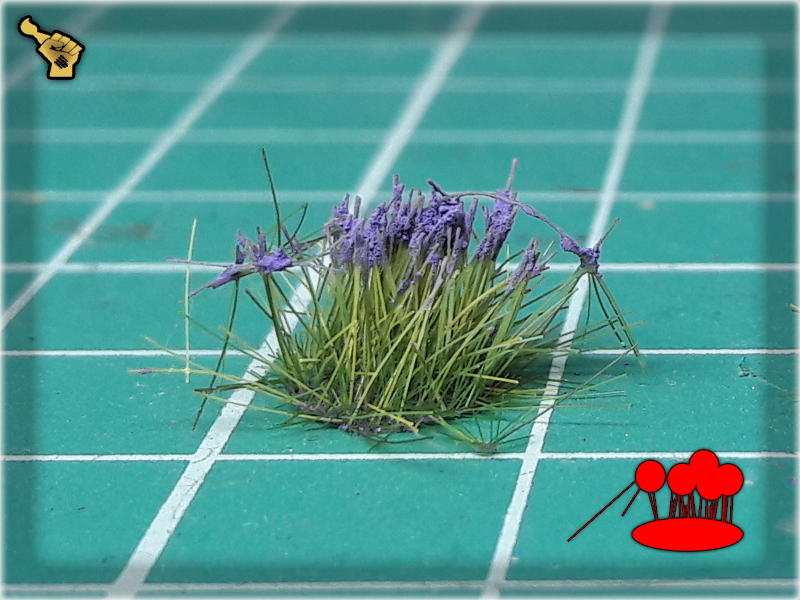 There are many quick ways to fix any encountered bug – while using the Tufts with ease. 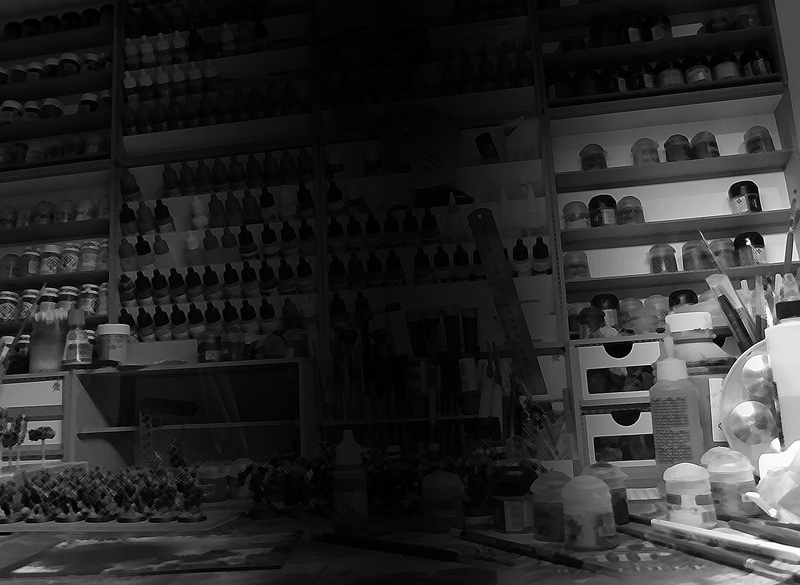 Paint Forge’s products are well balanced when it comes to price. 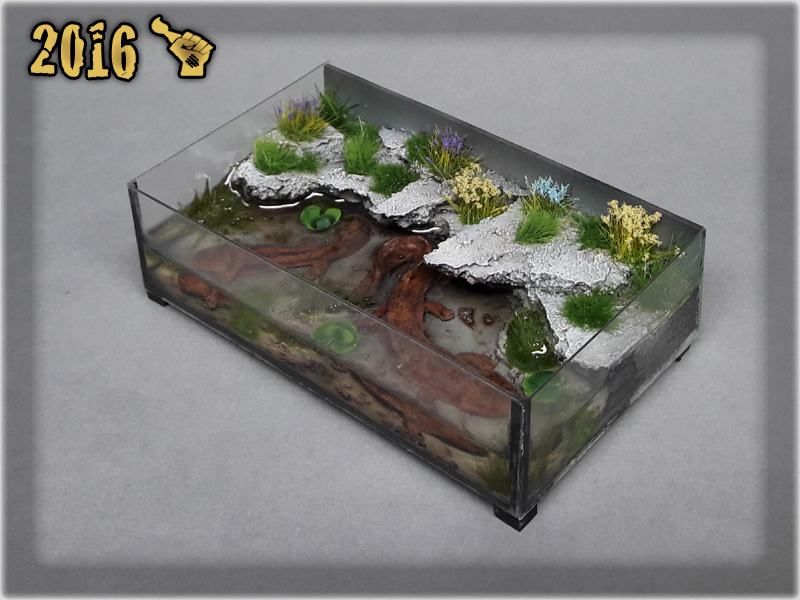 Not too expensive with price gauge placed somewhere around Army Painter. 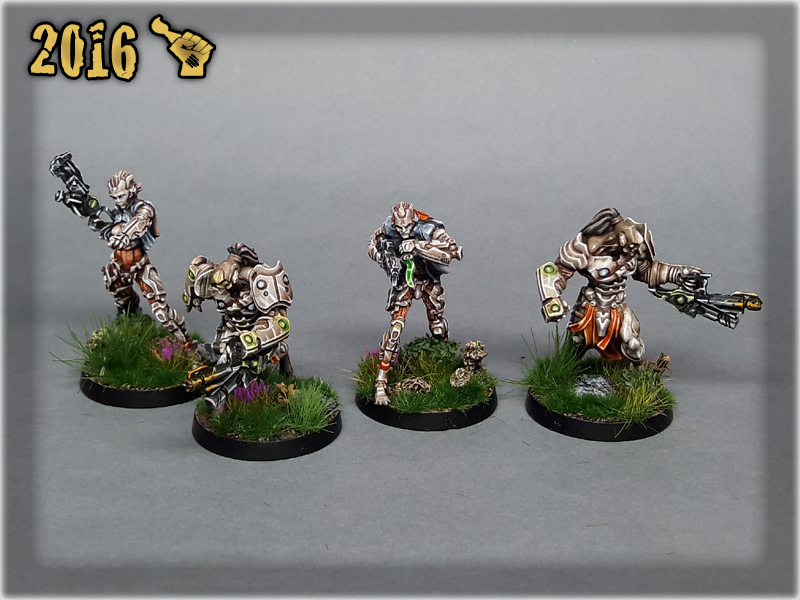 It wouldn’t hurt if they were a bit cheaper, thus competitive, but considering the quality – pricing is really ok.
Not too expensive, great looking and user friendly – Paint Forge’s products are a great choice to compliment the arsenal of Tufts and Flowers used to base the miniatures. Personally I fell in love with them and will expand my collection. I only wish I got to know them a bit sooner so that many fine projects would benefit from it – still there’s a lot of projects before me and you will notice Paint Forge’s Tufts and Flowers appearing in a lot of them. Where to purchase? 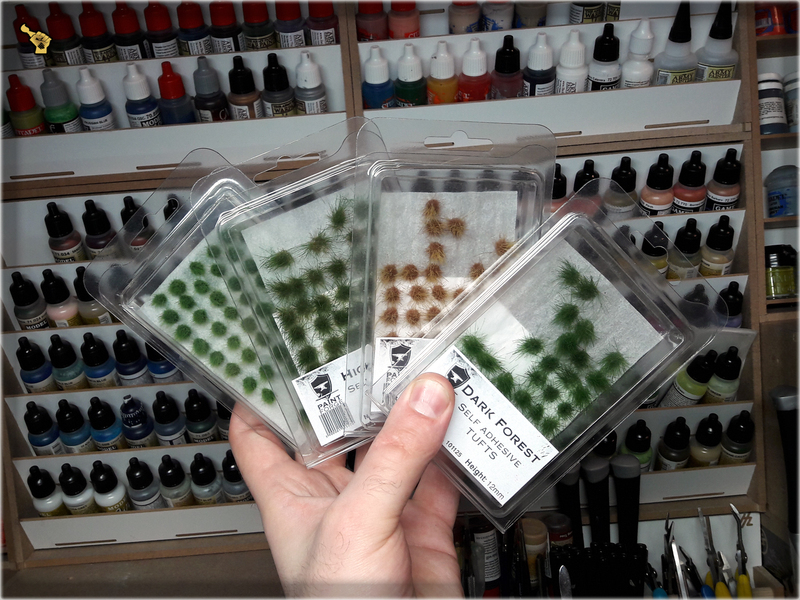 The best way is to contact Paint Forge directly via Facebook or to visit Vanaheim.pl/eu and order some!